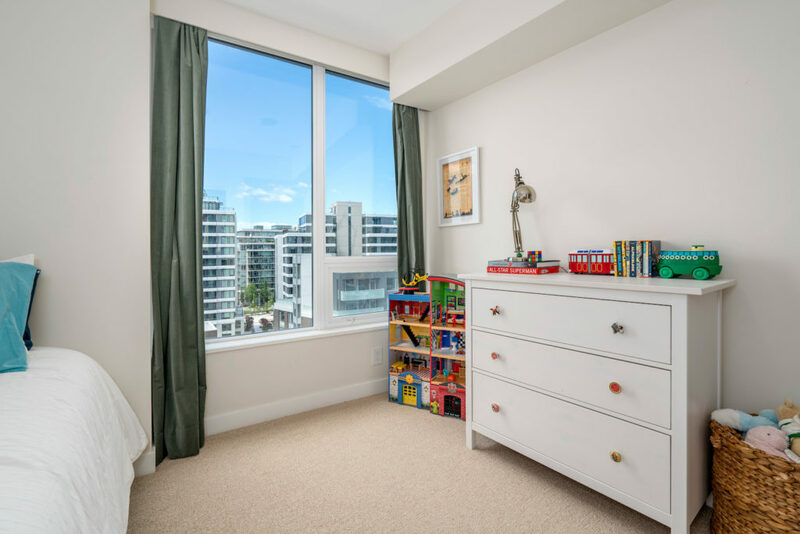 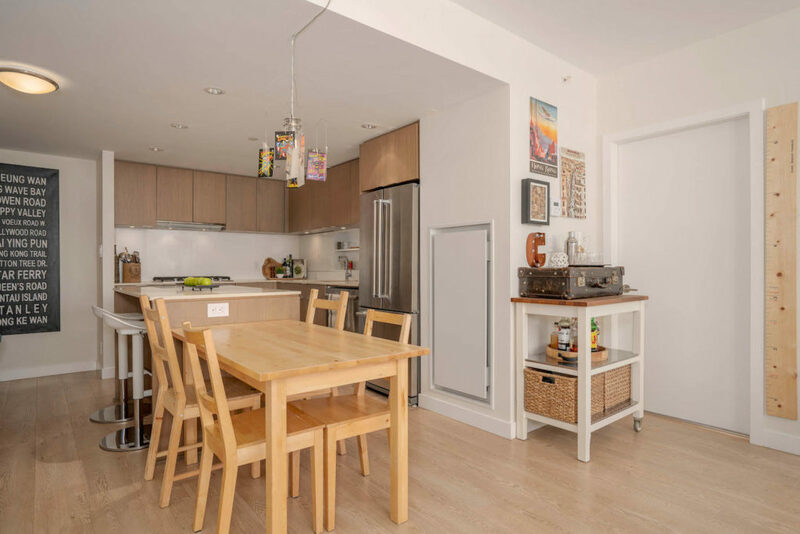 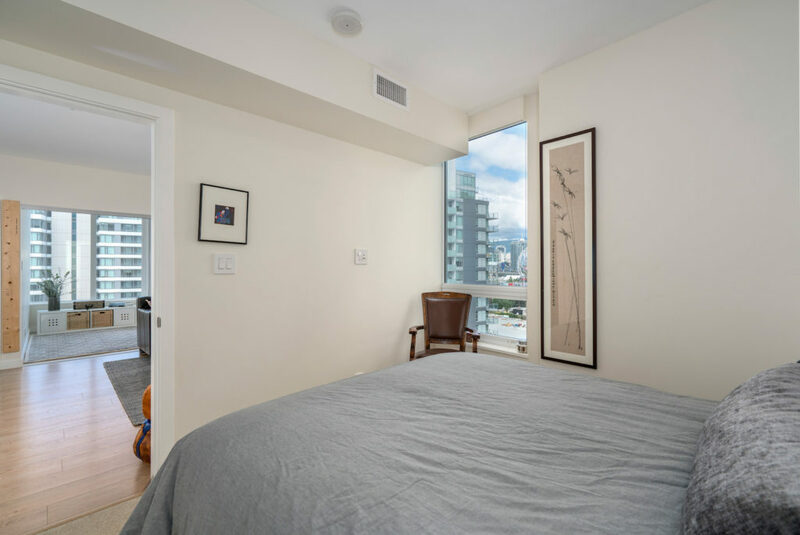 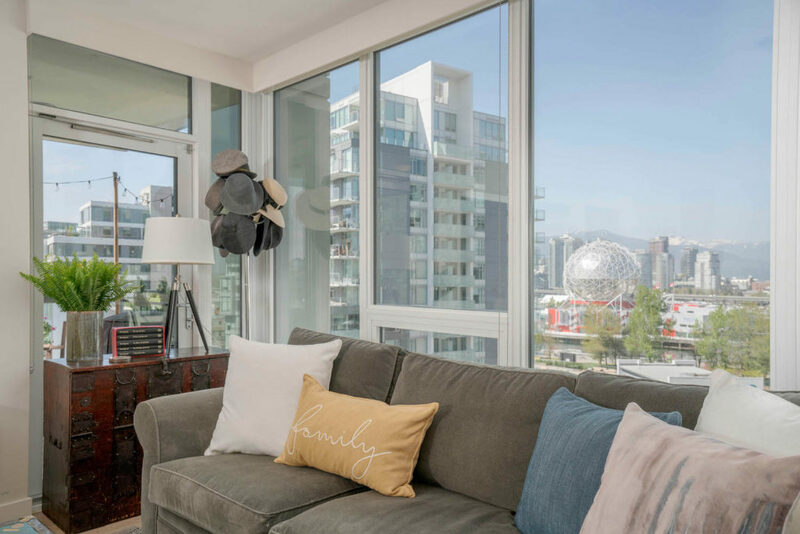 Natural light and spectacular views abound in this impressive two-bedroom and den corner unit. 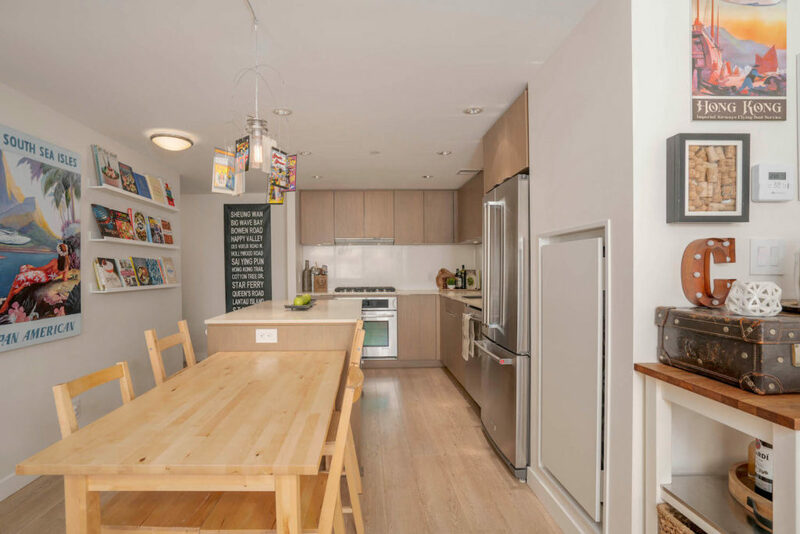 Designed to evoke a warm and inviting feel, this home offers 924 sq. 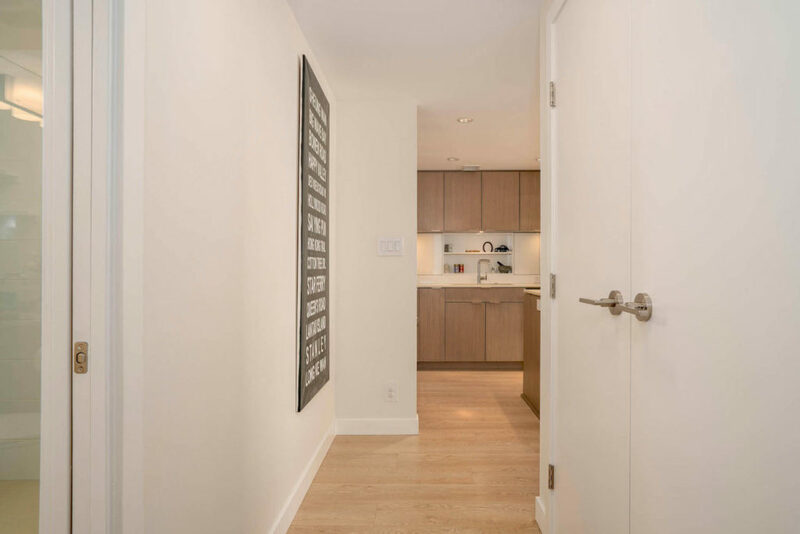 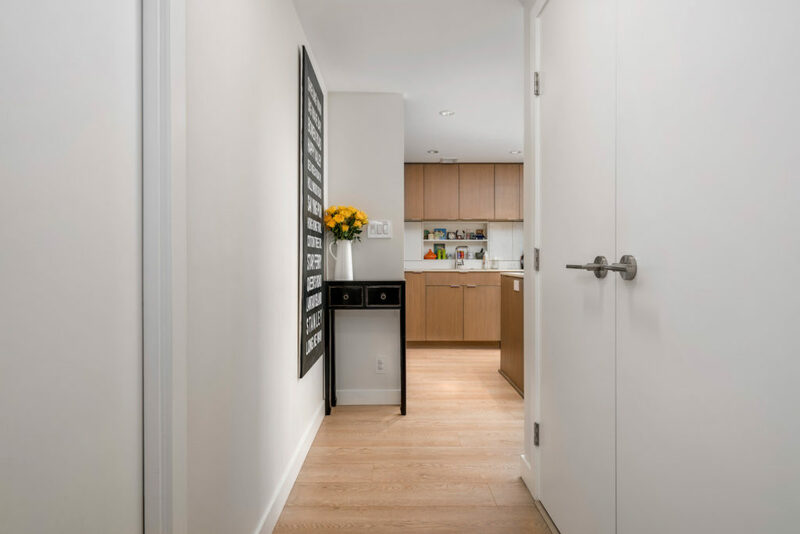 ft. of contemporary living space with engineered oak hardwood floors, a neutral colour palette, high ceilings, seamless millwork and central air conditioning. 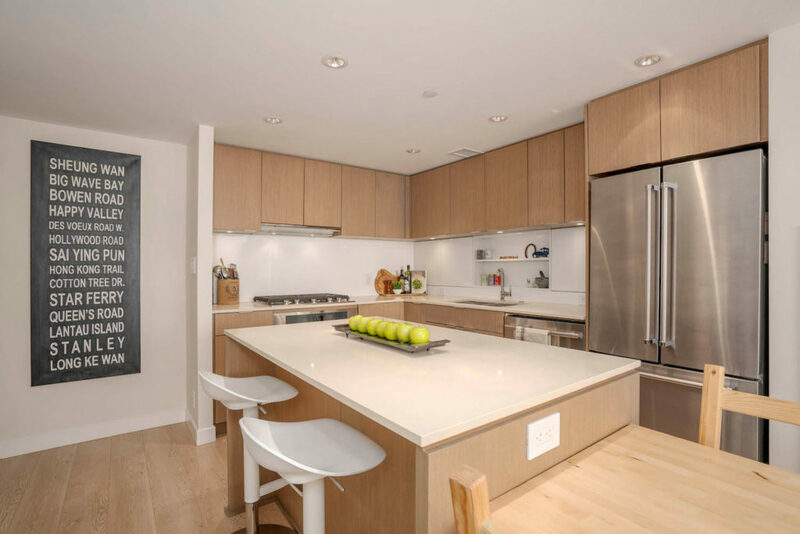 The kitchen is the heart of this home, featuring custom rift-cut oak veneer cabinetry, quartz countertops, gloss white backsplash with seamless integrated cabinets and an extra deep double under-mount sink. 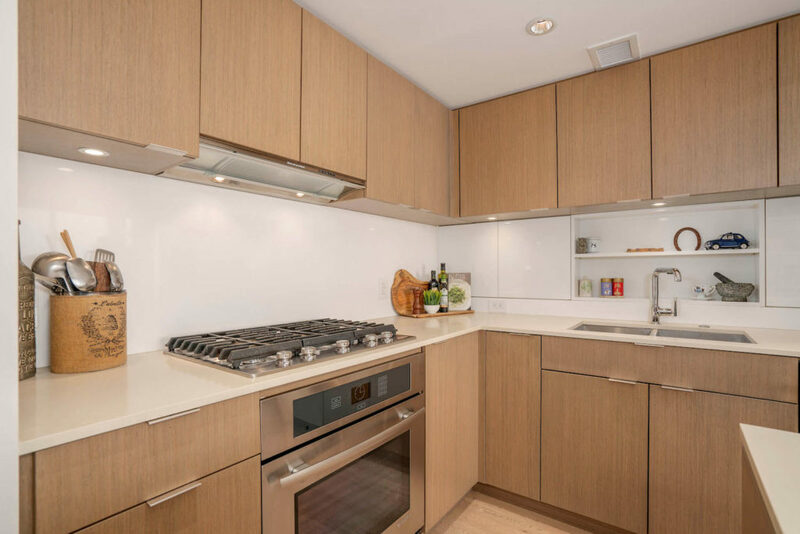 The high-end Kitchen Aid and Jenn-Air appliances include a 5-burner gas range, multi-function convection oven, slide-out hood fan and built-in microwave. 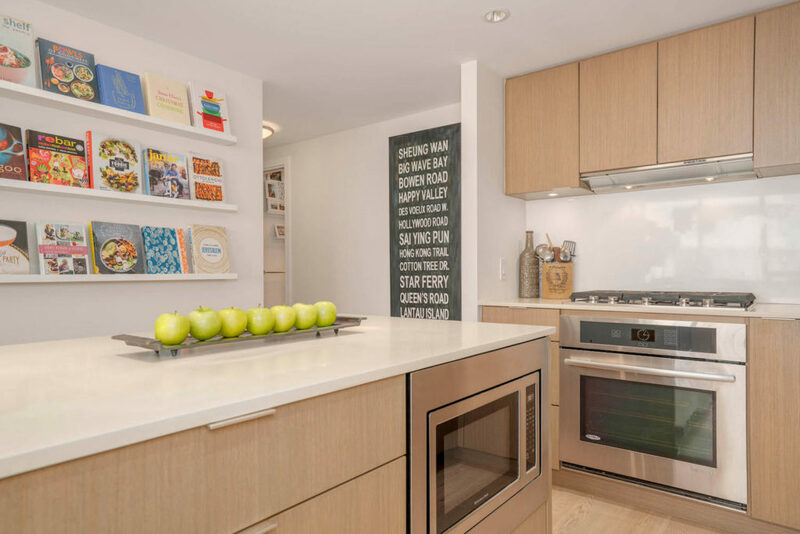 The spacious island is large enough for guests to enjoy a glass of wine while you prep the gourmet meal. 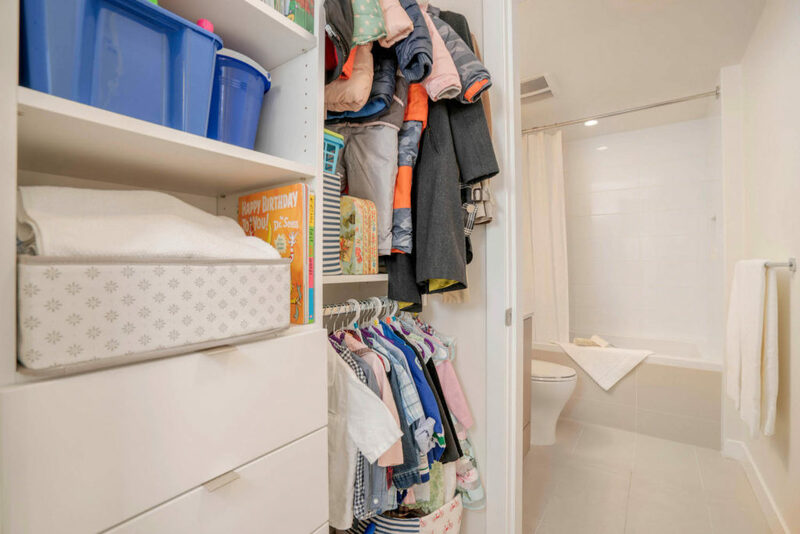 A flex room off the kitchen makes the perfect walk-in pantry or extra storage space. 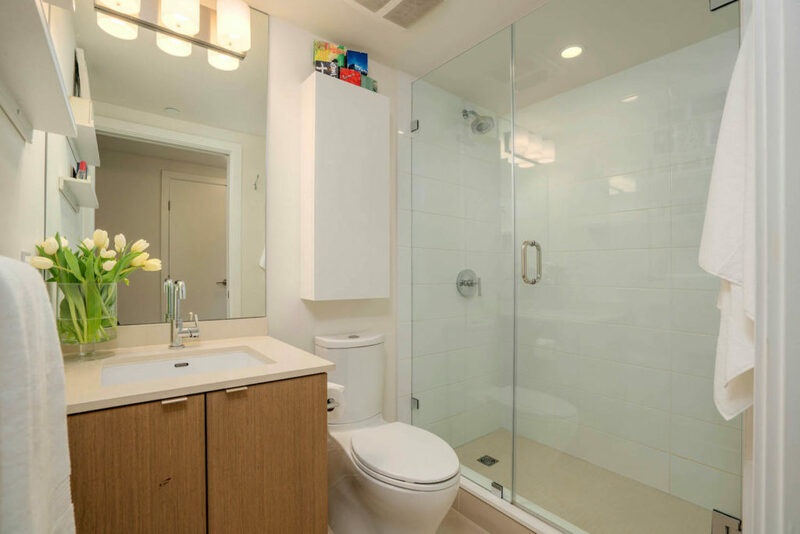 The two bathrooms feature porcelain tile floor with Nuheat to keep you warm underfoot, along with quartz surfacing, a deep soaker tub, frameless glass shower and custom wall cabinets for added storage. 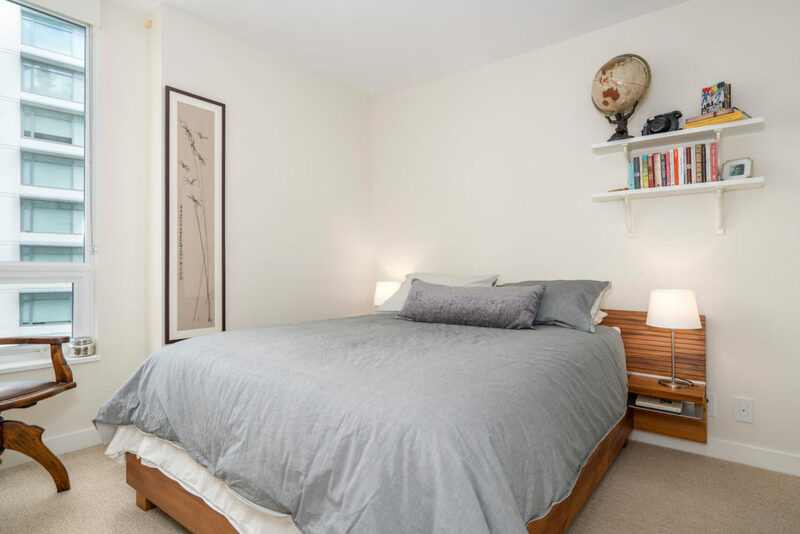 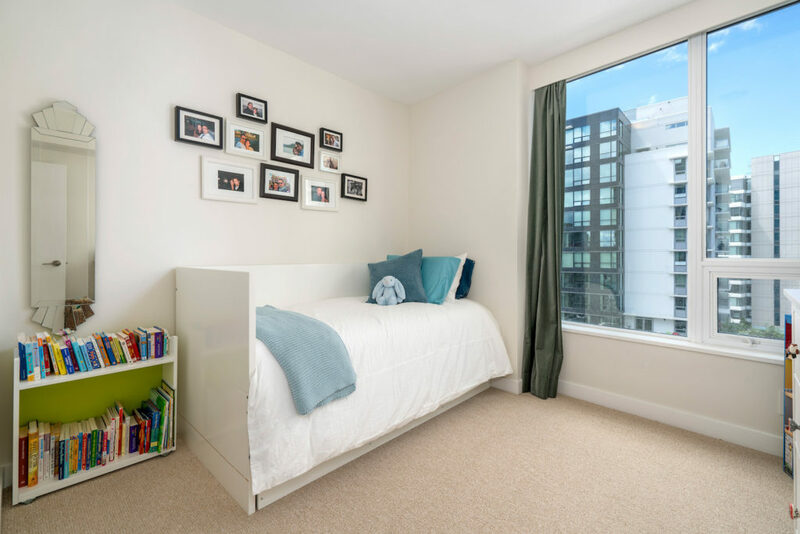 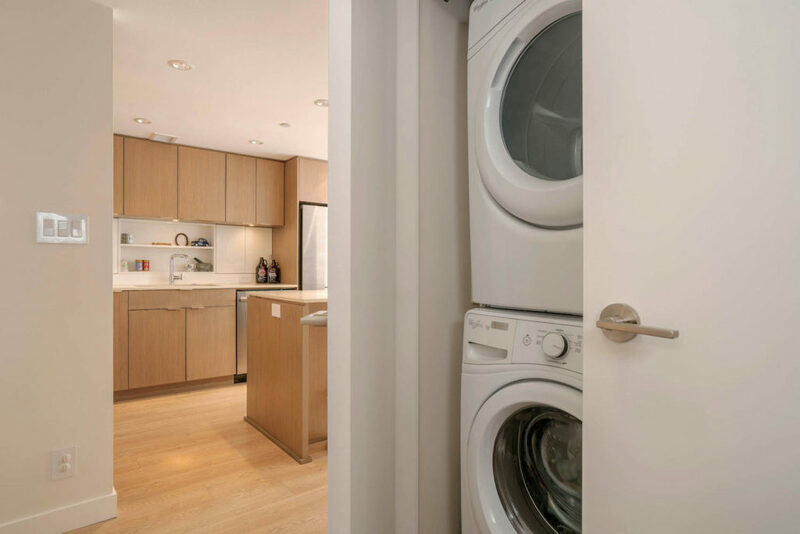 Hidden roller shades throughout the unit complement the streamlined look and you’ll love the full-size front loading washer and dryer with added storage. 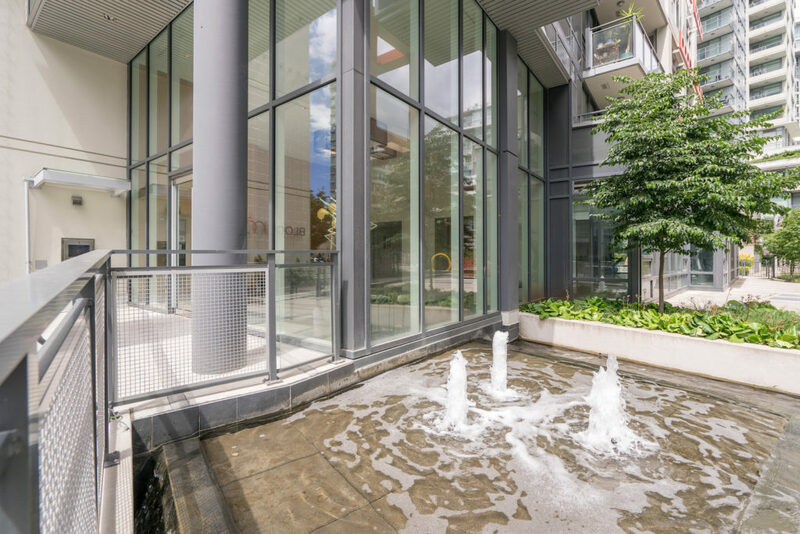 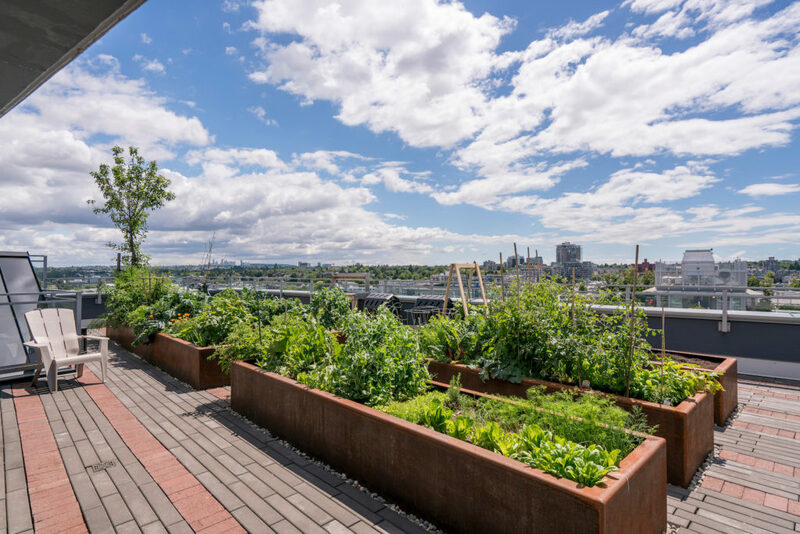 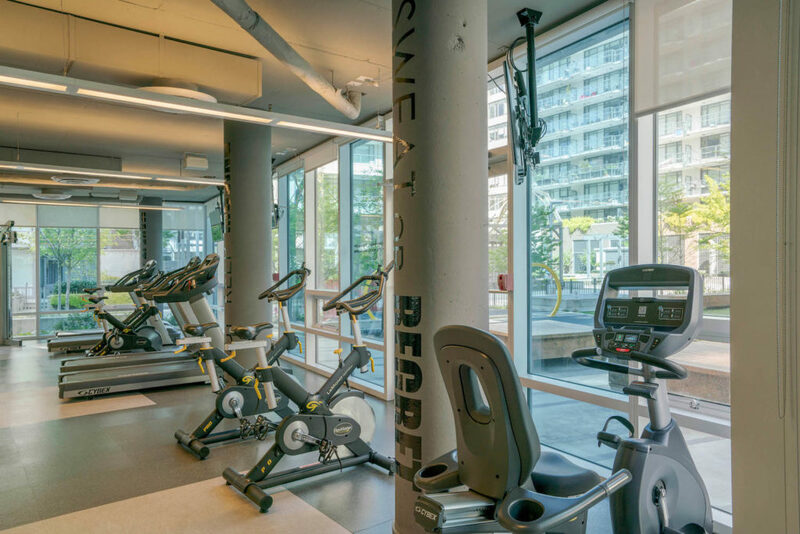 Building amenities include two media and party rooms — one with a complete kitchen and views of the courtyard — as well as a central solarium for smaller gatherings, a fully-equipped main level gym, shared rooftop garden and concierge service. 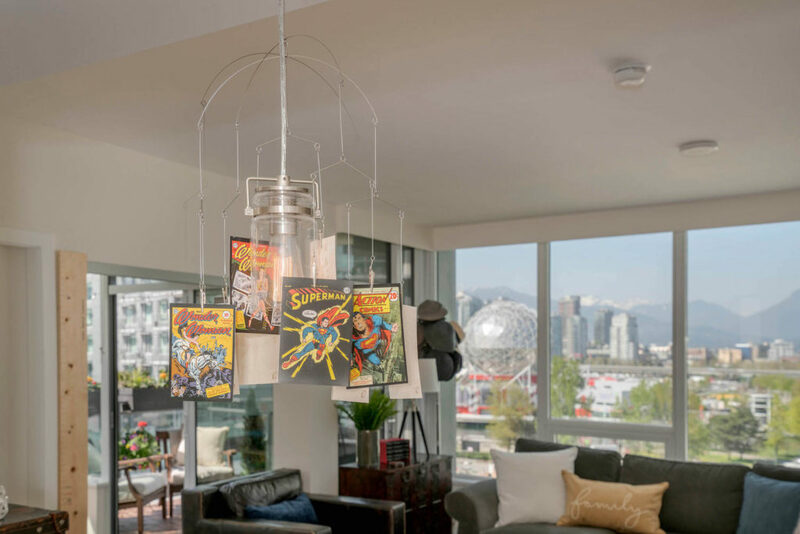 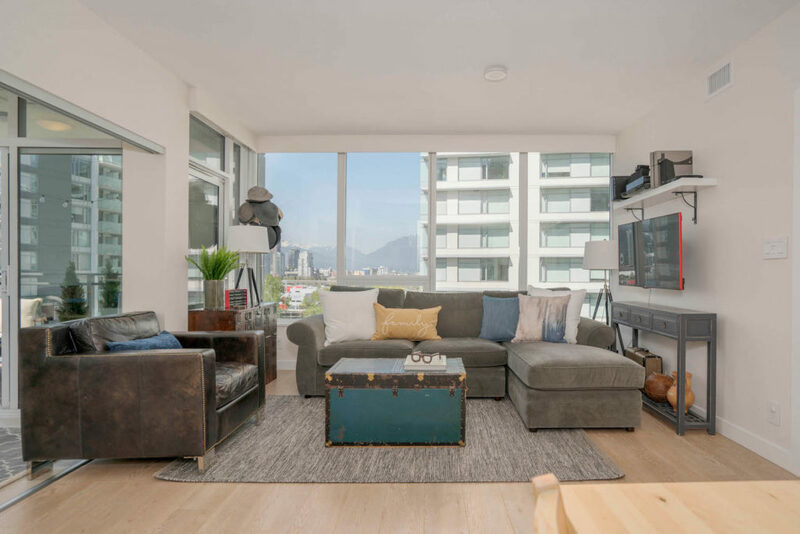 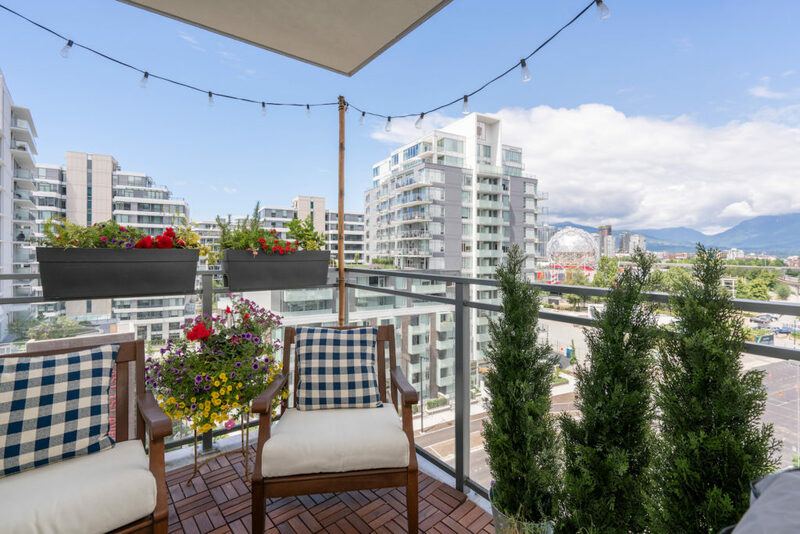 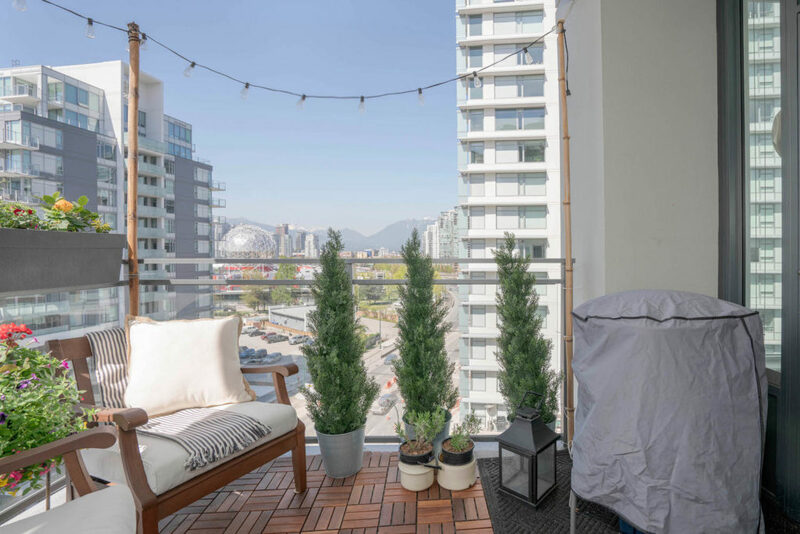 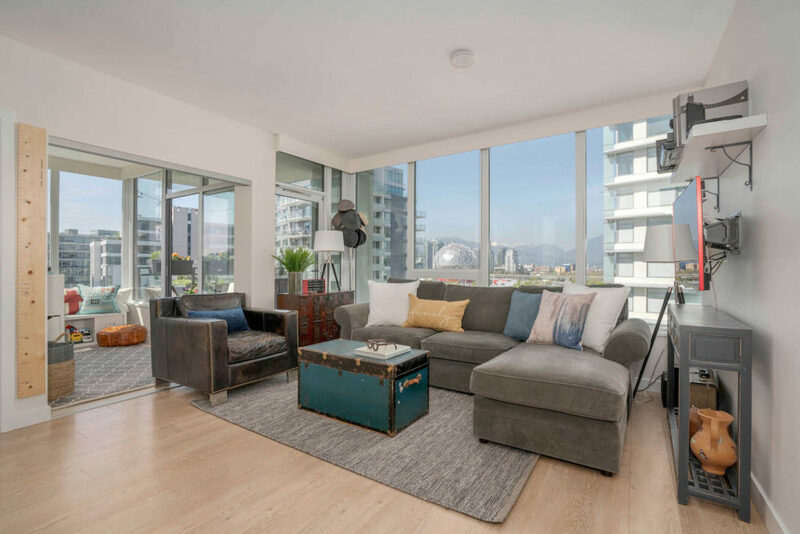 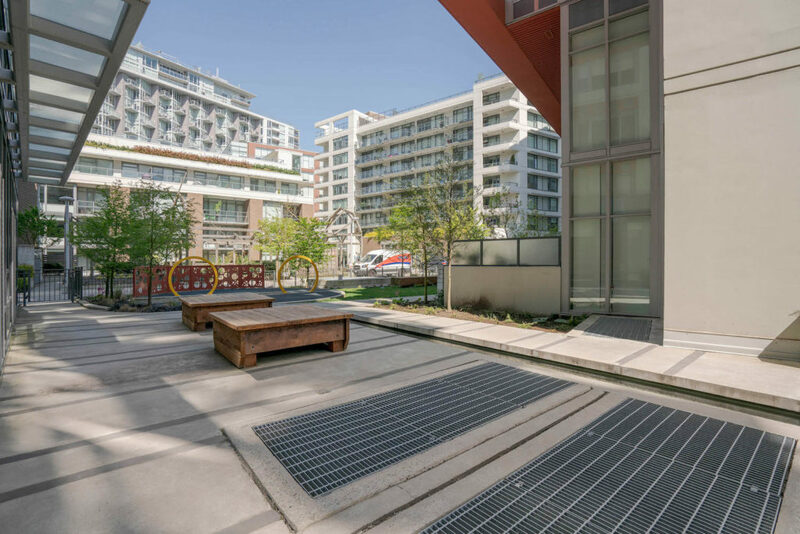 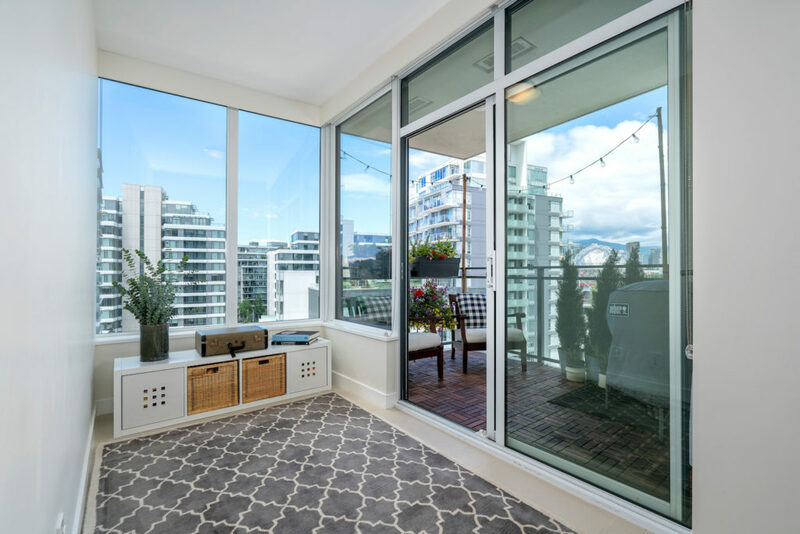 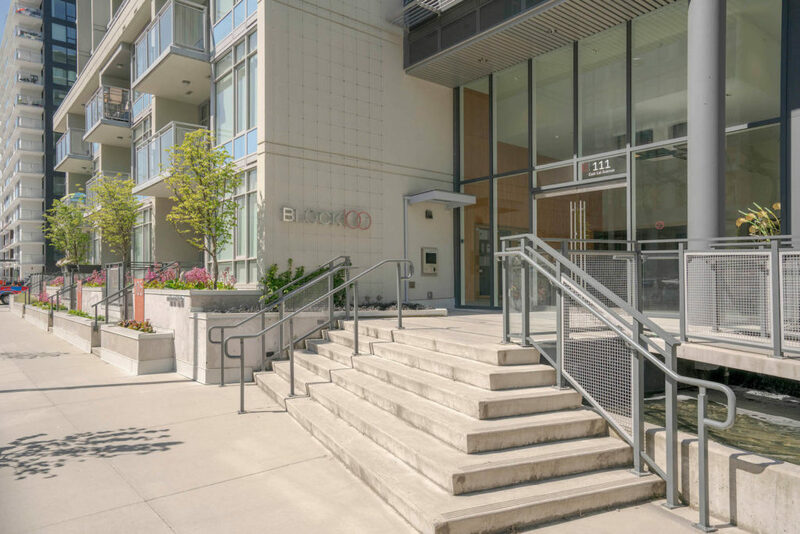 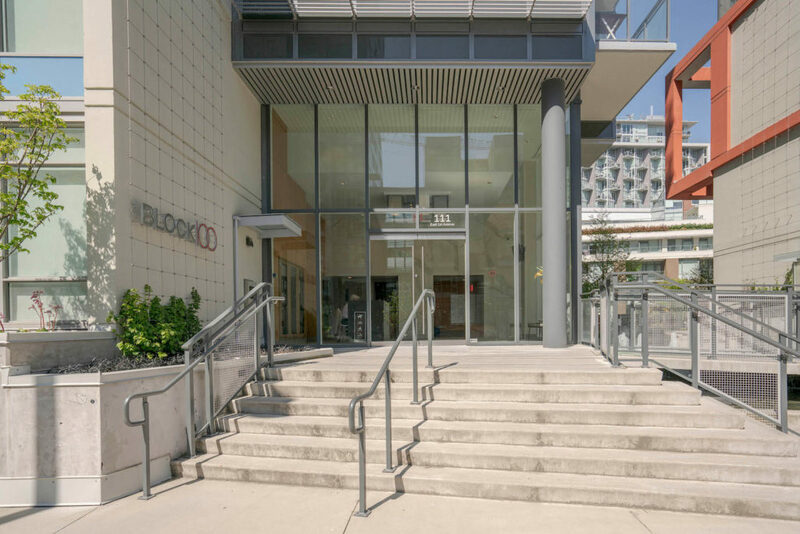 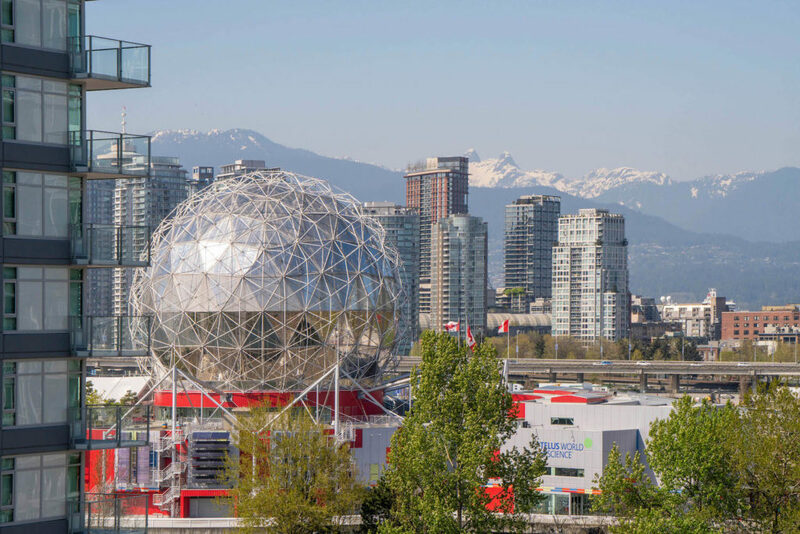 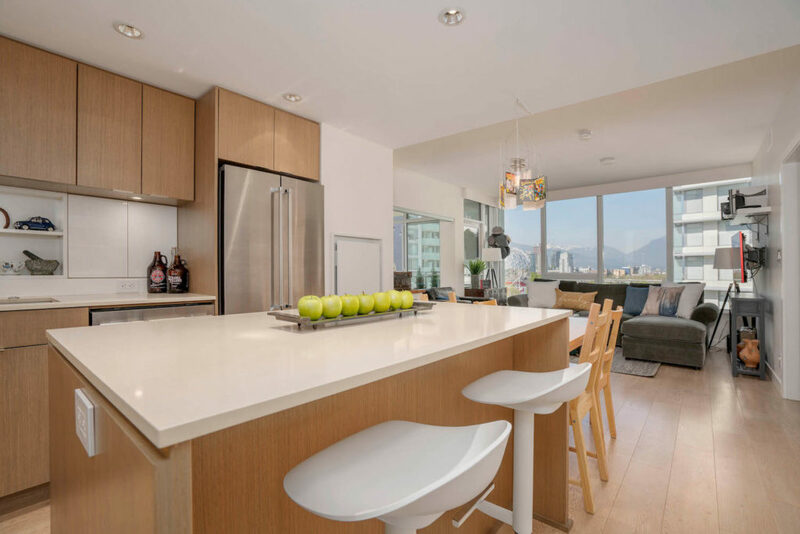 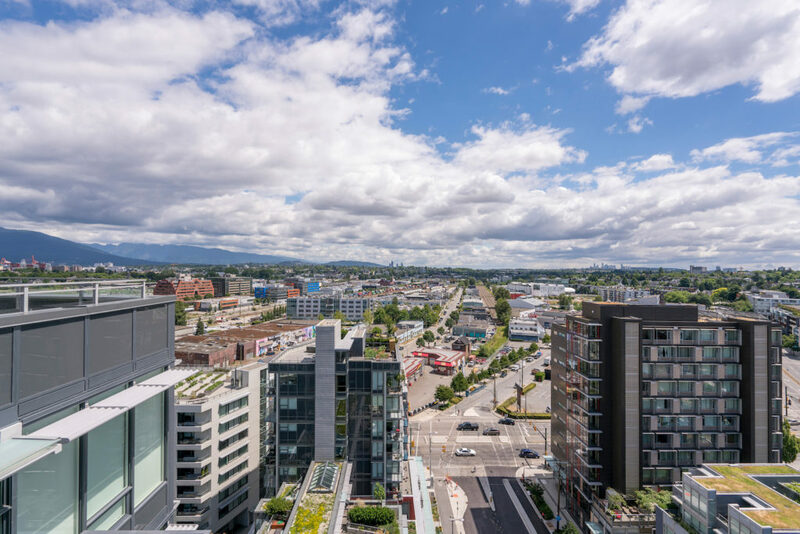 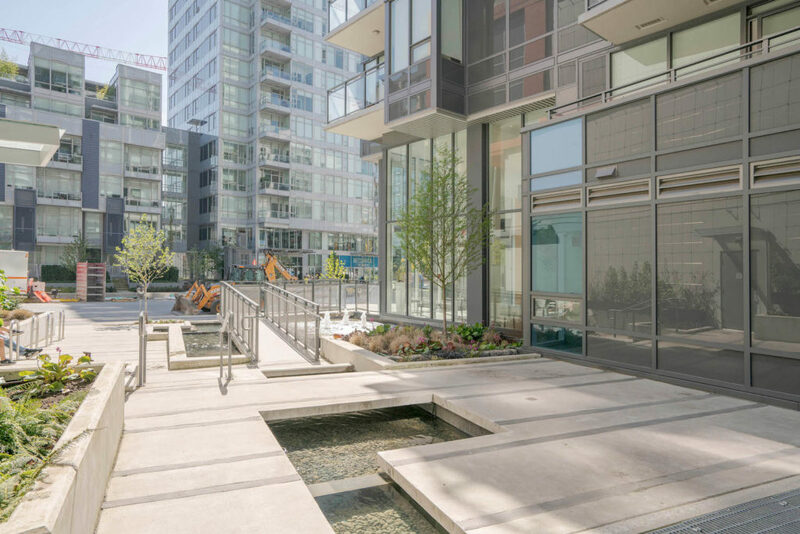 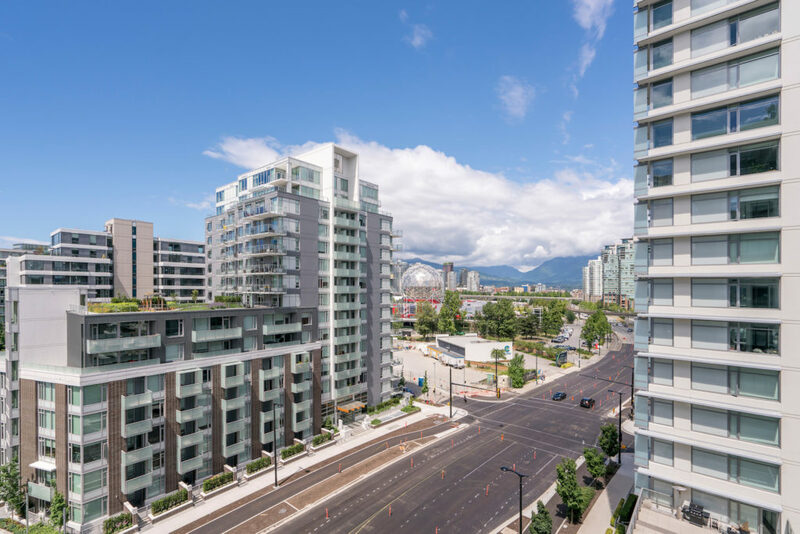 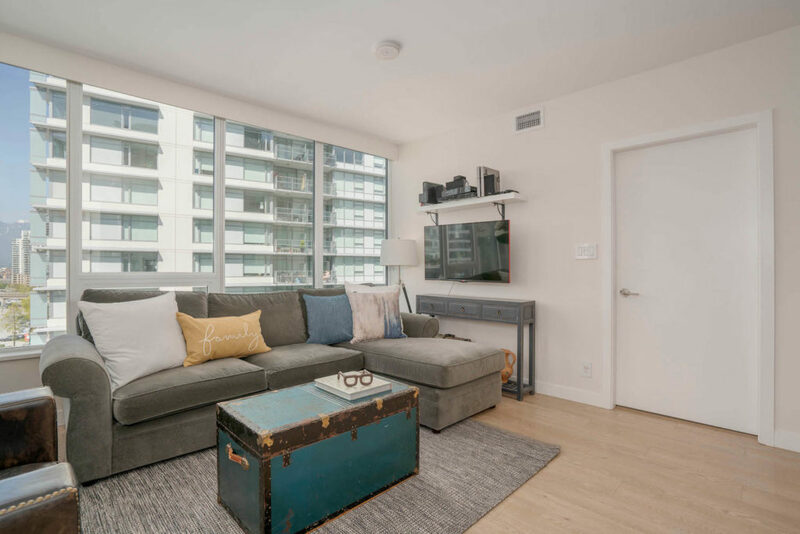 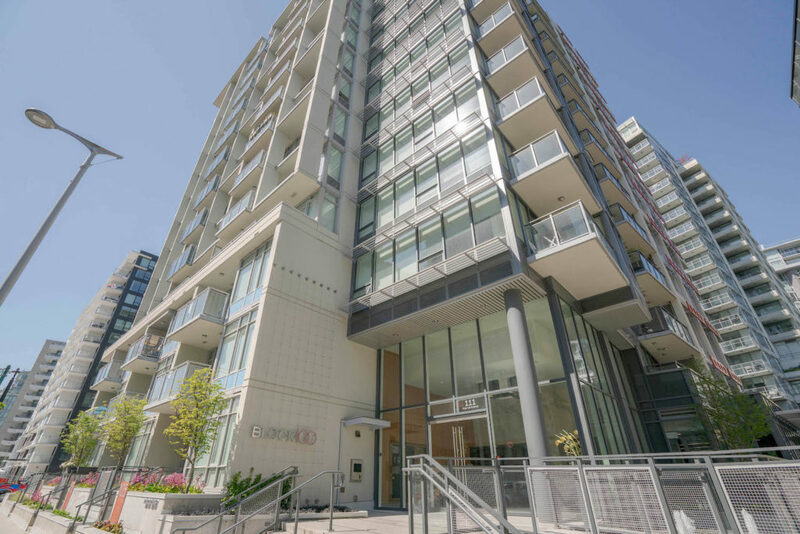 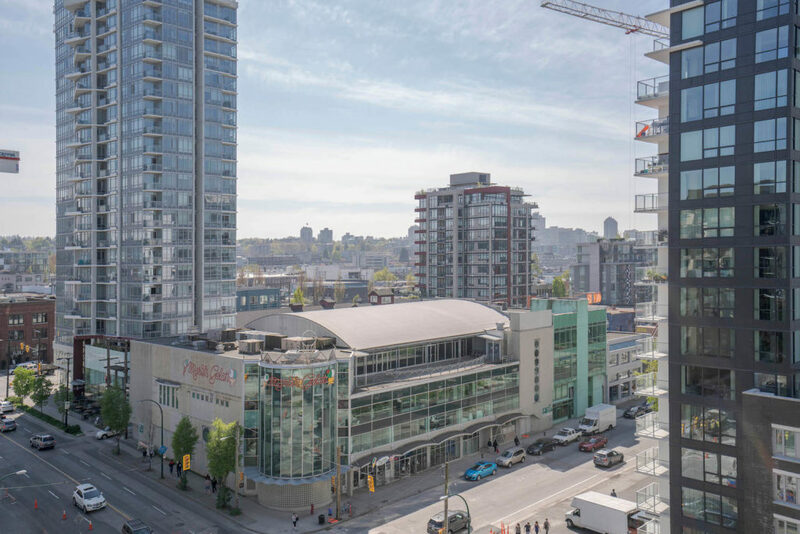 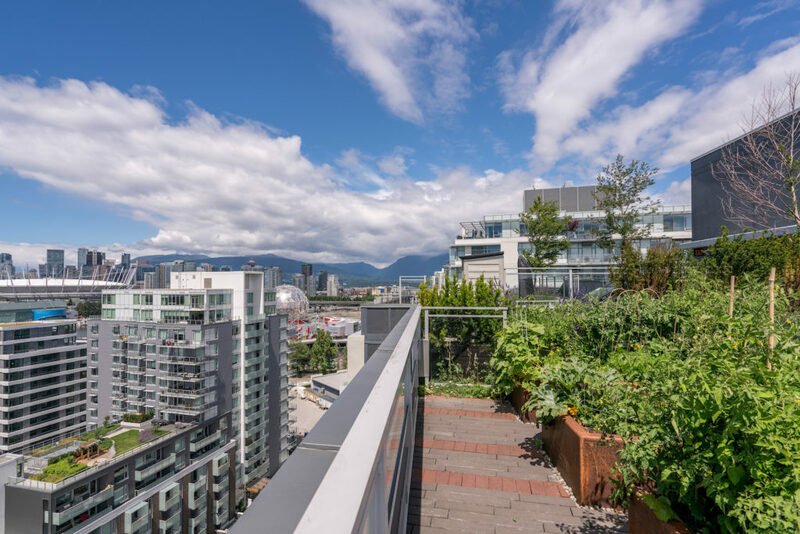 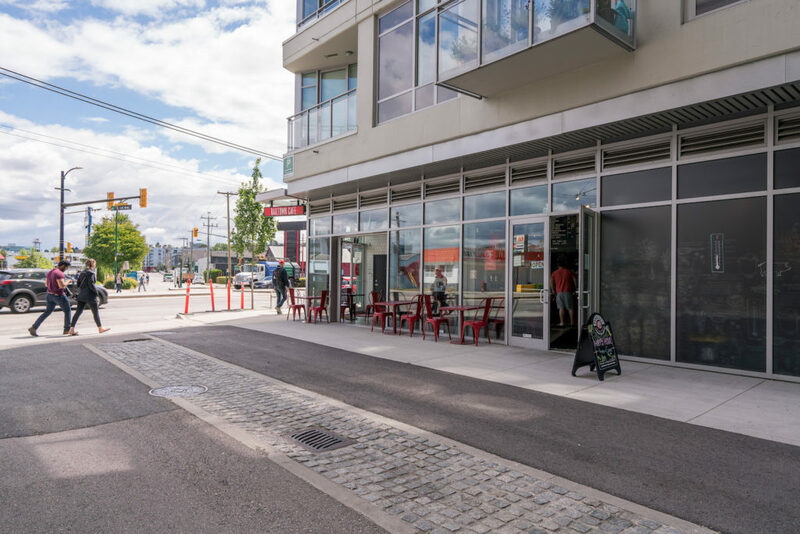 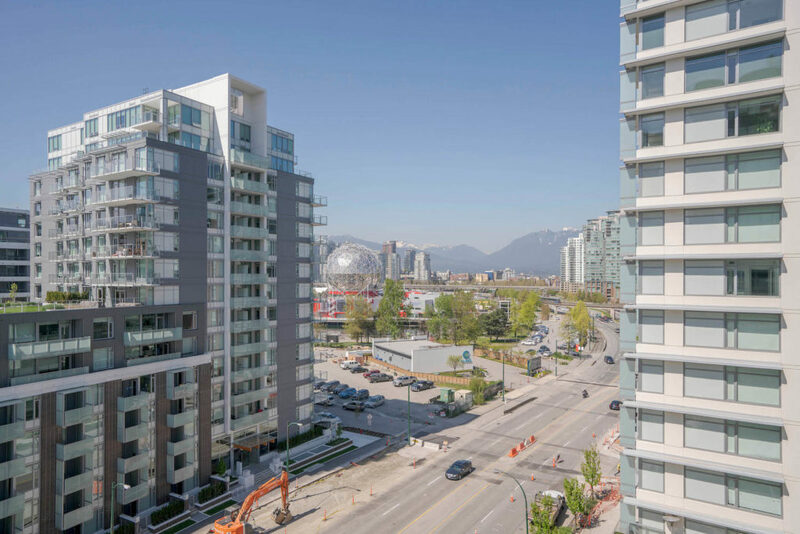 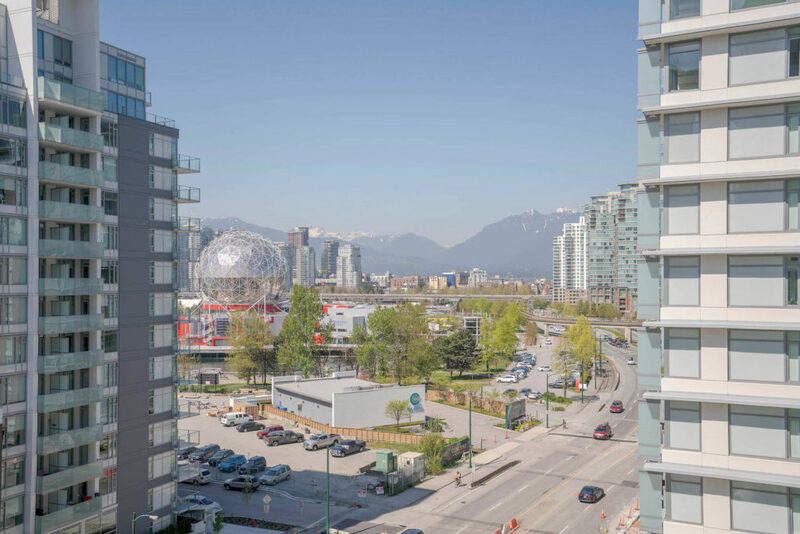 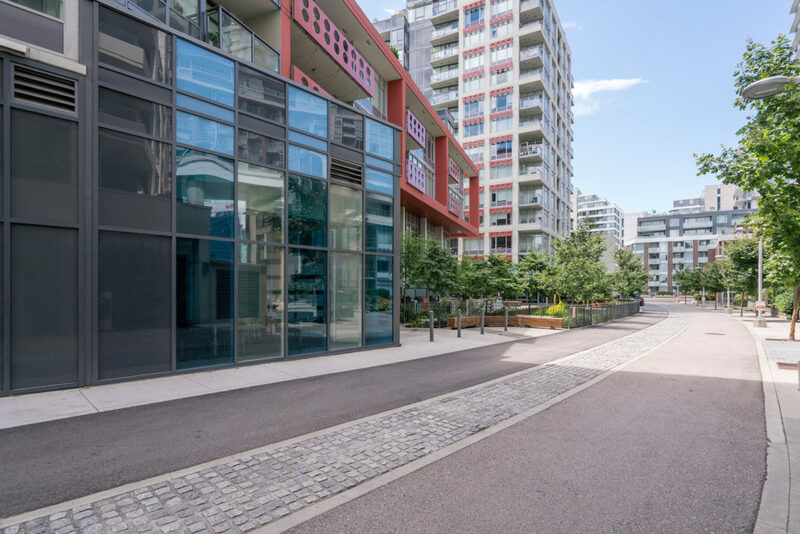 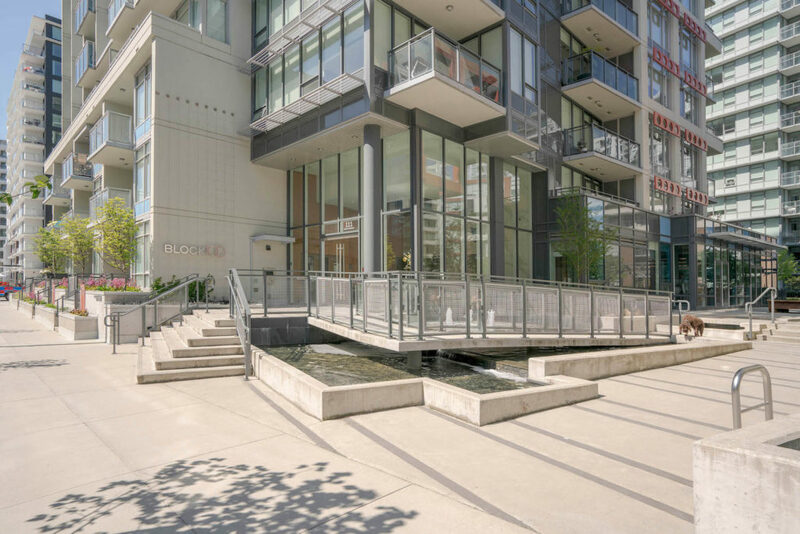 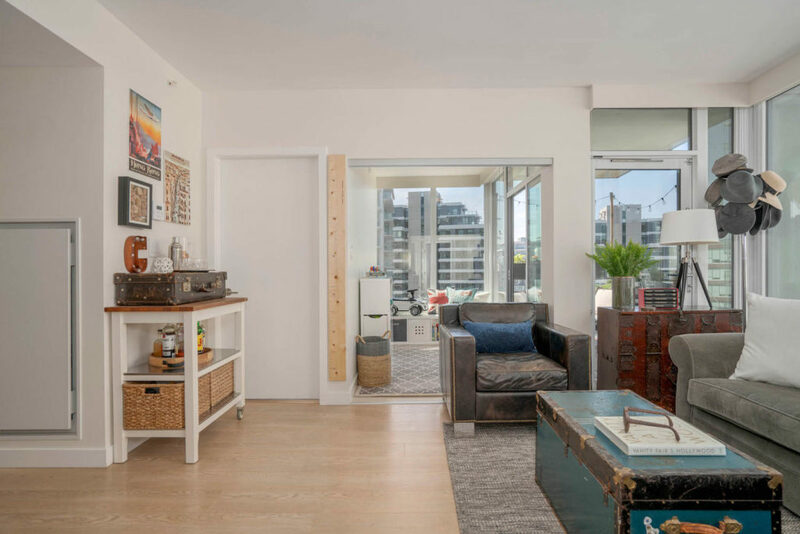 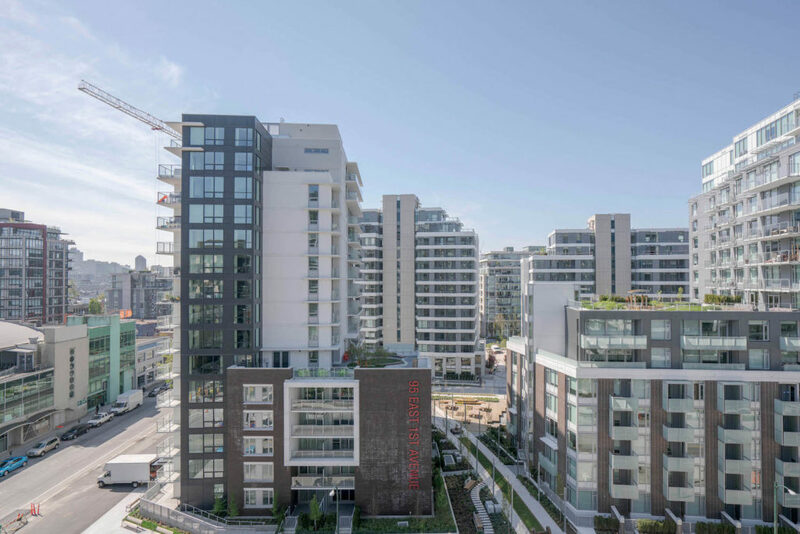 Whether it’s a stroll around the seawall, taking in the shops along Main Street or meeting friends at the newly-opened Brewhall, the walk score of 97 has everything you need right on your doorstep at this sought-after south False Creek address. 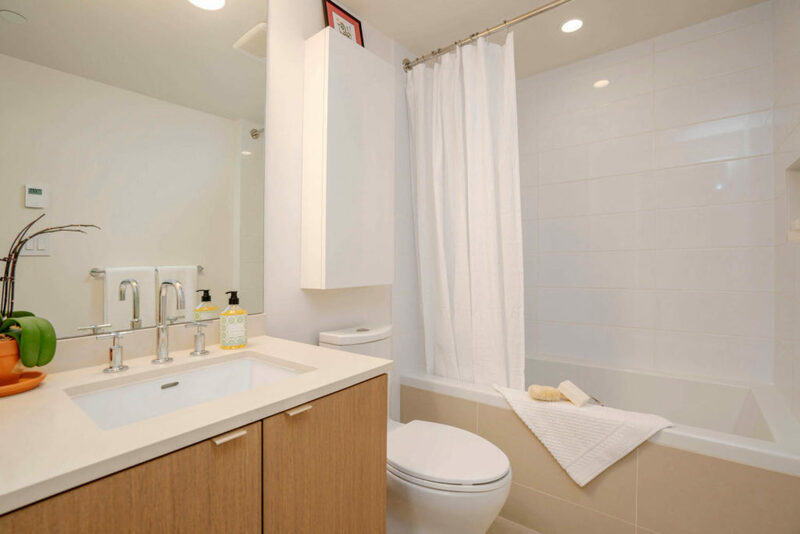 The unit comes with one storage locker and one secure parking.